Celebrate the 50th anniversary of the first African American child to integrate a New Orleans school with this paperback reissue! The year is 1960, and six-year-old Ruby Bridges and her family have recently moved from Mississippi to New Orleans in search of a better life. When a judge orders Ruby to attend first grade at William Frantz Elementary, an all-white school, Ruby must face angry mobs of parents who refuse to send their children to school with her. 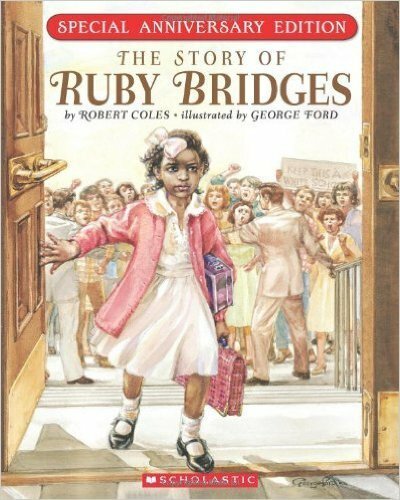 Told with Robert Coles' powerful narrative and dramatically illustrated by George Ford, Ruby's story of courage, faith, and hope is now available in this special 50th anniversary edition with an updated afterword! Ages from 4 - 8.